Must be a currently enrolled full-time student or a recent graduate within the last year (May 2018 – May 2019) from an accredited university or college. Must be classified as a Junior, Senior, or Graduate student, or be a recent graduate within the last year (May 2018 – May 2019) with a minimum of 60 college credit hours. Must provide a current unofficial transcript. Must have a minimum cumulative GPA of 3.0 on a 4.0 scale as an undergraduate or postgraduate. Top candidates for internship positions must be legally authorized to work in the United States. Verification of employment eligibility will be required at the time of hire. Visa sponsorship is not available for this position. 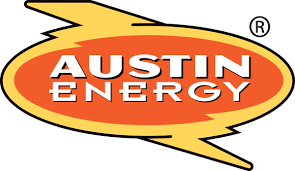 The 2019 Austin Energy Summer Internship Program will start on May 28, 2019 and end on August 2, 2019. Graduates who are not currently enrolled in a post graduate program or who have graduated prior to May 2018 will not be considered for the 2019 Summer Internship Program. A copy of your current unofficial transcript will be required with your application. Use the “Other Document” in the Optional and Required Documents section of your application to attach your transcript. The City of Austin employment application is an official document; incomplete applications will not be considered. Please be sure that your application is a reflection of your entire work history and education. Describe your specific experience for each position. Include all job duties, responsibilities, employment dates, and relevant college courses. Once the requisition has closed, the application cannot be changed to update work history, supplemental questions, or any other information. We reserve the right to verify high school and college education for the top candidate(s). A criminal background check will be required for all top candidates. 1. Data Analytics and Business Intelligence ( Integrate customer data with customer metrics). 2. Customer Energy Solutions ( Working with AE Green Building Group defining the fields and importing data in a CRM tool like Salesforce to maintain customer data and manage marketing activities). 4. Customer Acct Mgmt ( working with Billing Services Mgmt develop AE’s business intelligence tool to meet internal/ external requirements). 5. Workforce Planning and Development working with AE University and Intern Programs. 6. Power Production Engineering ( working with AutoCad 2018 supporting large projects). Interns will be paid: $18.00 per hour. Undergrad or Masters degree from an accredited college or university with major coursework in a field related to developing project plans, analyzing technical solutions, preparing plans and designs. Essential duties and functions, pursuant to the Americans with Disabilities Act, may include the following. Other related duties may be assigned. 1. Assists in planning, executing and closing projects in a variety of operational and/or administrative situations related to specific assignments/areas. 2. Assists in preparation of recommendations for implementation of new or revised policies, procedures, and/or process changes/improvements. Write reports that summarize findings, data collection techniques, implementation options, etc.3. Establishes project schedules using project planning software/tools, updates and maintains project status reports. Communicate project/process status.4. Develops and maintains databases to support data analysis and research findings for business projects. 5. Conduct research, analyze trends, determine accuracy and relevancy of data/information, and use sounds judgment to evaluate alternatives. 6. Facilitates and documents meetings, action items, and processes using flowcharting methodologies.7. Maintains positive working relationships with managers, supervisors, employees and other stakeholders to gain their cooperation and support. Must possess required knowledge, skills, abilities and experience and be able to explain and demonstrate, with or without reasonable accommodations, that the essential functions of the job can be performed. City of Austin is committed to compliance with the American Disabilities Act. If you require reasonable accommodation during the application process or have a question regarding an essential job function, please call (512) 974-3210 or TTY (512) 974-2445.